My piece "Adoration" was inspired by the silk scarves of the late 1950's and early 1960's, capturing the bright floral prints combined with an alluring focal piece. 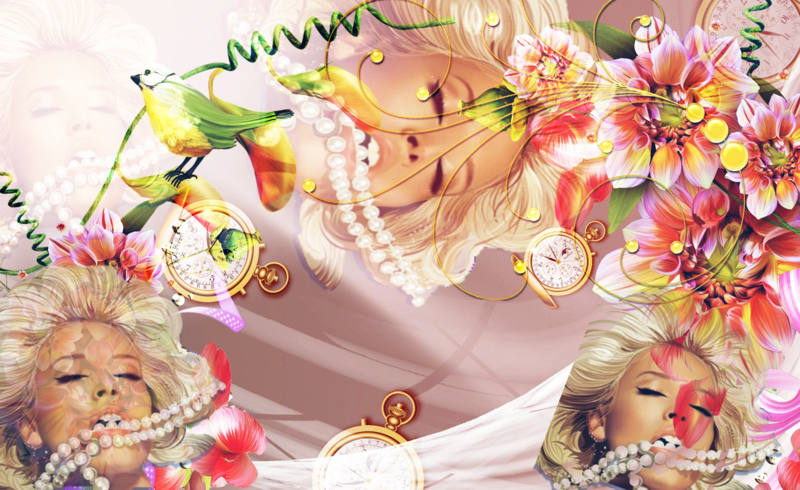 I created a bright floral graphic and used a painting overlay scattered throughout. The female model was digitally turned into a painting from an old photograph and then overlaid randomly with a classic pocket watch time piece surrounding it. "Adoration" by Christian LaMontagne is being downloaded now! This design is 100% free to use. If you would like to "pay" fluxwith.us or Christian LaMontagne with a social media share below, it would truly be appreciated. Enjoy!